Justine Anderson completed her Masters degree in voice at the Victorian College of the Arts in 2008 and has had wide performance experience as both a soloist and ensemble singer. With a particular interest in contemporary music, Justine has worked with a variety of groups including Bang on a Can, Arcko, Icon Trio, Hutes, Astra, Melbourne University’s New Music Studio and as guest artist at the Australian National Academy of Music. 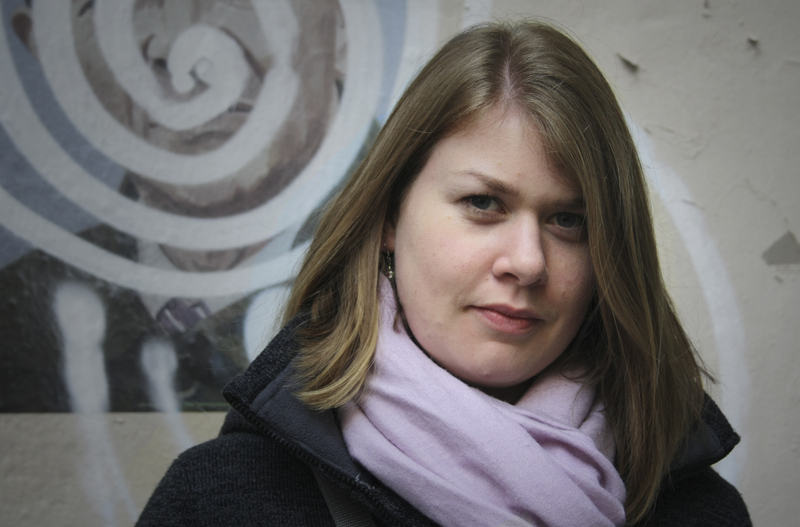 In addition she is the c0-artistic director of the new music ensemble Six Degrees. In 2008 she recorded for the ABC the Australian premiere of the Alberto Ginastera work Cantata for Magic America as part of the Simplot International Masterclass Series and she again performed this important work in 2011 in a concert at the A.N.U. to celebrate the Bicentenary of Argentina. Her opera roles include Pamina in The Magic Flute, Michaela in Carmen,The Witch in Hansel and Gretel, Tosca in Tosca and Violetta in La Traviata. In 2013 she played Brunhilda in Cut Opera’s version of The Ring in Opera Australia’s Melbourne Ring Festival and in 2015 she will be playing Mimi in Cut Opera’s version of La Boheme. 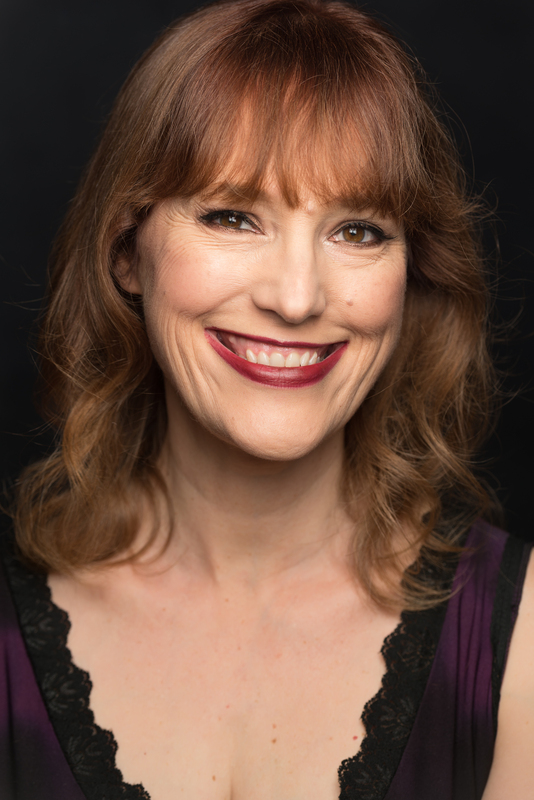 Other highlights include a performance as a nightclub singer in the short film ‘The Black Pine Road’, and work as the soloist in various Oratorio performances and festivals including the Canberra Festival, Melbourne International Arts Festival, Port Fairy Spring Festival, Darebin Music Feast and Melbourne Fringe Festival.” In 2015 Justine will be completing a fellowship at the Australian National Academy of Music. 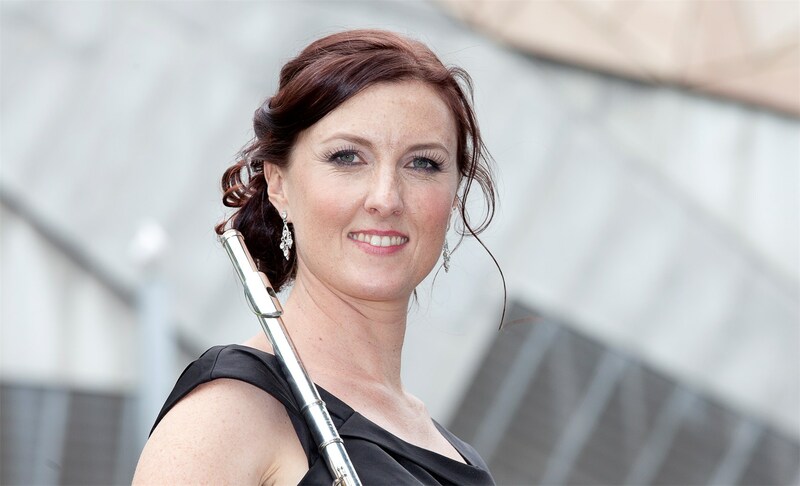 Melissa Doecke is one of Australia’s most exciting flautists, with a busy career of concerto performances, solo recitals and chamber music concerts. Melissa regularly performs with Australian symphony orchestras including as Guest Principal Flute with the Adelaide Symphony Orchestra and Orchestra Victoria. A section Finalist in the 2010 Australian Young Performer Awards Melissa gave the Australian premiere of Christian Lindberg’s Flute Concerto as soloist with the Tasmanian Symphony Orchestra. Melissa studied in Australia at the University of Queensland and the Canberra School of Music as well as on scholarship at the prestigious Royal Academy of Music in London. She has performed in London at the BBC Proms in Royal Albert Hall, at St Martin-in-the-Fields and the Purcell Room at London’s Southbank, as well as in recordings for BBC Radio 3 and BBC Television. Melissa has also given recitals in Italy, Prague, Bahrain, Abu Dhabi, Brazil, across the UK and Australia, and performed at music festivals worldwide. Melissa is passionate about performing and promoting new music and new Australian music in particular. Melissa has recently returned to Australia after 5 years in the UK and is currently based in Melbourne. Stuart is a Melbourne based guitarist who is particularly concerned with the creation and performance of new music on an ever widening range of plucked string instruments including classical six and ten string guitar, electric and electric bass guitar, ukulele, sitar, banjo, and mandolin. Stuart graduated from the Victorian College of the Arts with a Bachelor of Music Performance (Hon) in 2011, studying under Aria Award winning guitarist Tonié Field. In 2014, Stuart participated as a fellow in the Bang on a Can Summer Festival at the Massachusetts Museum of Contemporary Art, USA, working closely and premiering new works with members of the Bang on a Can All Stars. He has been involved in the Australian and International premieres of works by a range of composers including Chris Dench, Dai Fujikura, Mauricio Kagel, Morton Feldman, Claus-Steffen Mahnkopf, Santiago Diez-Fischer amongst many others. He has performed on live broadcast and live recordings aired on numerous radio stations including 3MBS, PBS and ABC Classic FM. Stuart has performed regularly with the new music ensemble Six Degrees since 2014 including in concerts for the Melbourne Symphony Orchestra’s Metropolis New Music Festival. He has collaborated over recent years with a range of groups including the Melbourne University New Music Studio Ensemble, Elision Ensemble, Rubiks Collective, Argonaut Ensemble at BIFEM 2017 and Arcko Symphonic Ensemble. In 2018 Stuart appeared as a guest principle with the Sydney Symphony Orchestra performing Brett Dean’s The Last Days of Socrates. He also performs in the flute and guitar ensemble Jade Duo with his wife Shelley de Vos. Stuart also regularly works with recorder artist Ryan Williams performing improvised and composed works as the electro-acoustic duo XN. Melbourne-based violist Phoebe Green has a Masters degree from The University of Queensland and a Bachelor of Music (Hons) from VCA (now VCAM). Past teachers have included renowned Australian contemporary violist Patricia Pollett, Paul MacMillan and Marco van Pagee. Passionate about contemporary music and extended techniques, Phoebe also has a keen interest in early music performance. A member of many contemporary ensembles including Atticus, 6 degrees ensemble, Arcko Symphonic Project, and Sunwrae Ensemble, Phoebe has also performed with the Queensland Symphony Orchestra, Dead Horse Band, ChamberMade Opera, OzOpera, AriaCo, 3 Shades Black and Quiver to name a few. Phoebe has commissioned a number of Australian compositions by composers such as Robert Davidson, Rae Howell and Sallie Campbell, premiering David Chisholm’s “The Arrival” for viola and percussion in collaboration with Speak Percussion’s Eugene Ughetti. In April Phoebe will travel to Europe with the assistance of an Australia Council ArtStart grant to study with international violists Garth Knox and Barbara Maurer. 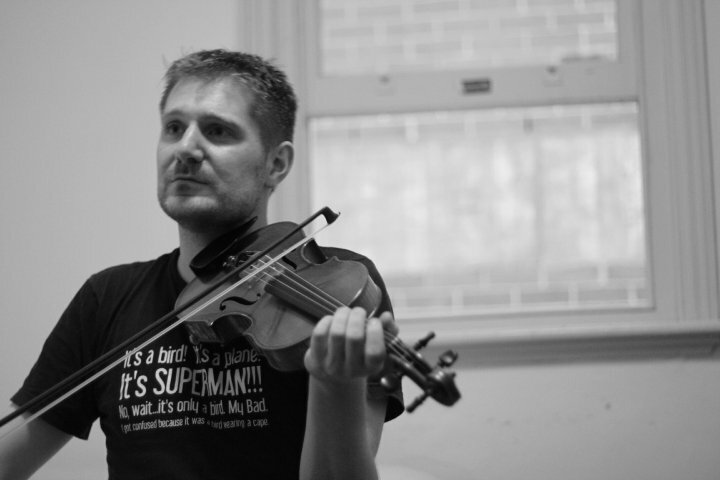 Zac Johnston is a Melbourne based violinist who focuses on exploring the unfamiliar and unusual. As a freelance musician he has worked with a wide variety of orchestras, including ‘The Orchestra Project’ (Fabian Russell and Markus Stenz), OzOpera (Richard Gill), TSO, the MSO Mentor Program, Istana Quartet in Malaysia, multiple show orchestras for musicals around Tasmania and Victoria, and touring China with the RMPO Orchestra. He began learning violin with Phillip Taylor and has since studied with Lucy Carrig, Marina Phillips, Jan Sedivka, and most recently Monica Curro. He has had master classes from Paul Wright, Kolja Blacher, and Berent Korfker (RCM). Zac has performed and recorded with many bands including Georgia Fields and her Mini Indie Orchestra, Lior, The Moons, Jane Dust, Hobart’s own Borstal Boys (who celebrated their 10th year anniversary in July ’09), The Big Picture, The Wishing Well (now touring Europe) and is more recently focusing on heavier prey by shredding many multiple bow hairs with HMAS Vendetta, an Australian power-metal band inspired by the Australian ANZAC tradition. His greatest passion is for contemporary music and records, performs and tours regularly with ensembles such as Sunwrae Ensemble (currently touring June 2011), the Gilmour Ensemble, Arcko Symphonic Project, Dead Horse Band, and Quiver. This is amongst many other projects with established composers (such as David Chisholm and James Rushford), and regular involvement with music festivals particularly in Victoria (The Famous Spiegeltent, Melbourne Fringe, Melbourne Arts) . Zac recently performed and conducted workshops with the Gilmour Ensemble at MonaFoma 2012. 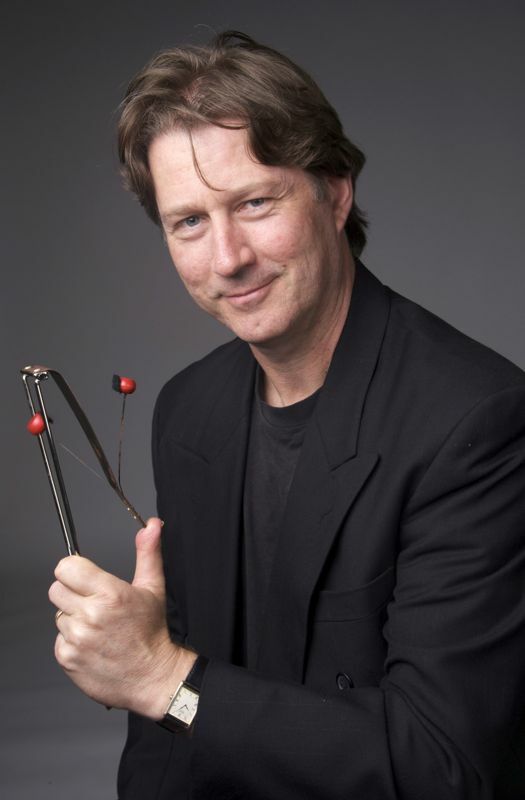 Peter Neville is a graduate of the Victorian College Of The Arts in Melbourne , Australia and he was appointed Head Of Percussion there in 2000. Whilst he works across the range of musical styles he has a particular commitment to new music and chamber music. As the percussionist of the ELISION Ensemble for twenty-four years, Peter has been involved with practically all their concerts, compact discs and international tours. Important works including Chris Dench’s “Driftglass” and Richard Barrett’s; “Abglanzbeladen-Auseinandergeschrieben”, have been written for and premiered by him. He is also a current member of SPEAK Percussion , Jouissance, The David Chesworth Ensemble, The BOLT Ensemble and The Raga Dolls Salon Orchestra and he has recorded and/or toured internationally with each of them, to destinations in Europe and the U.S.A. He has also worked in orchestral settings and highlights have included tours to Europe with the Australian Youth Orchestra and Japan with the Melbourne Symphony as well as the M.S.O.’s “Tour de Force” with Elton John and the Australian premiere of Messiaen’s “Turangalila” Symphony, in the presence of the composer. Music-theatre highlights have included touring Australia as musical director of “Tap Dogs”, the Australia/China tour of Playbox Theatre’s “Cho-Cho-San”, and Richard III with Britain’s Royal Shakespeare Company. He was guest drummer with Britain’s Balanescu String Quartet in their three Australian seasons of “Possessed” with the Meryl Tankard Australian Dance Theatre and he hasalso worked with the Brodsky string quartet during their 2010 Australian tour. His CD recordings range from pop albums by Peter Andre and Deborah Conway to film soundtracks including “The Man From Snowy Riiver” and “Japanese Story” as well as numerous chamber music discs. In addition to his performing , Peter has also composed for various ensembles and theatre productions and is published by Reed Music.